The groups are nice and small which means you get to know everyone really well. Starting off in teams of two our ex Royal Marine trainer showed us what we were in for the rest of the day by giving us sets of exercises to do while the other one did shuttle runs. Easy to begin with, it got harder the more we did and after all 10 exercises, most of us were ready to collapse. Throughout the day I realised everyone had different levels of fitness. Some had just rediscovered fitness, one guy hadn’t exercised in 10 years and others were trying to stay fit after losing a lot of weight previously. It was nice to know that the bootcamps weren’t just for the super fit, for most it was a kick start into regaining their fitness. After more shuttle runs and exercises we went on to boxing, my favourite. Teaming up into two’s again we did a minutes worth of boxing, then went on to do a separate exercise afterwards – including jumping over bars and sit ups. The next one was probably the hardest, and now we were all on our own. Taking 8 hoops and performing shuttle runs from 6 poles placed at one end of the park to the other we had to transport them from one pole to the other, separately. The first 10 minutes flew by, but after a while the stopping and starting started to take its toll and my legs were really feeling it – I finished in around 40 minutes and collapsed on the floor. After a break, some circuits, including some really bad hula hooping from me, and some toning exercises – which made sure every muscle in my body ached the next day, we were finished. I went home absolutely shattered, but excited to keep up with the good work we’d started and en route to getting back my pre-holiday body. 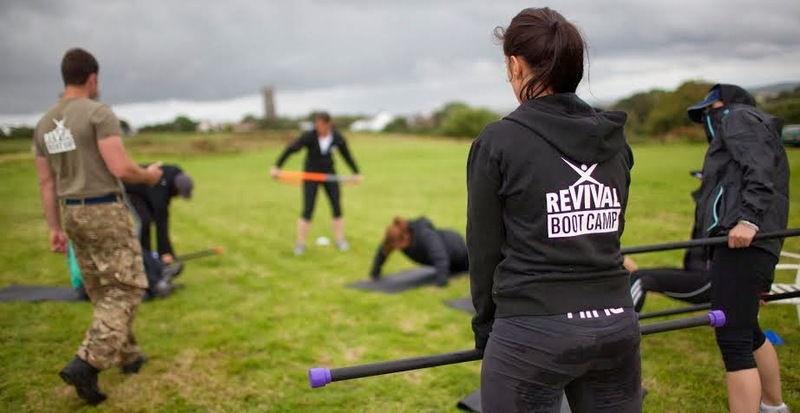 If you fancy giving it a go Revival are holding a few day camps throughout December and into the New Year, as well as residential bootcamps – go to their website for more information. I am really impressed with your blog tips.